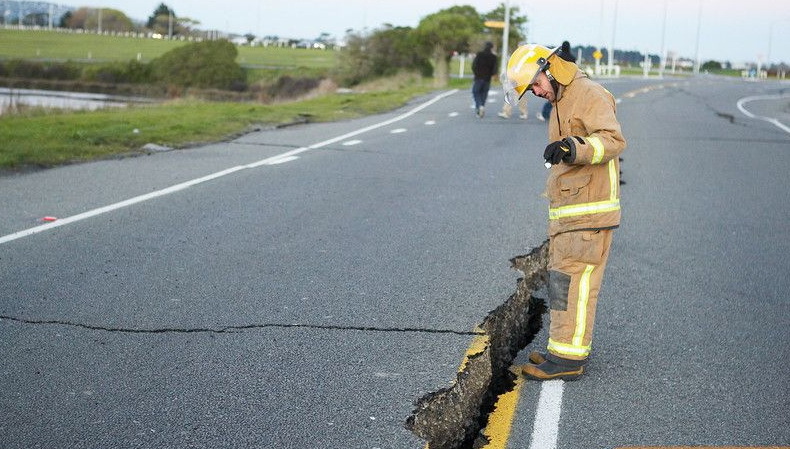 A strong earthquake measuring 7.8 on the Richter scale struck off Southland, New Zealand’s lower South Island, on Wednesday evening. 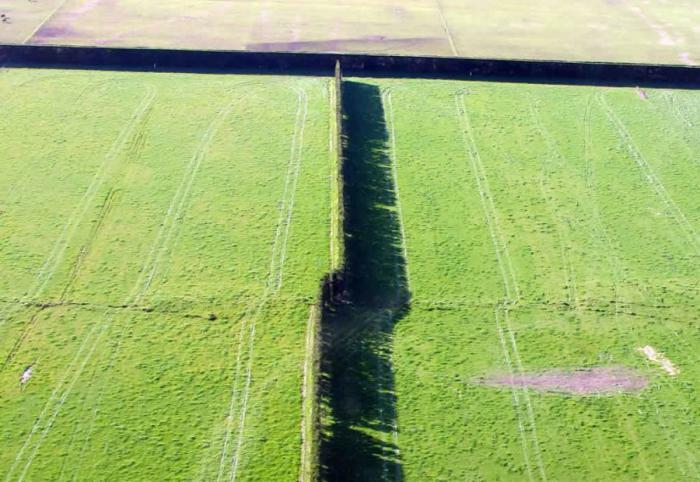 The earthquake was centered 100 km northwest of Tuatapere in western Southland, and was 12 km deep, the New Zealand Institute of Geological and Nuclear Science (GNS Science) reported. 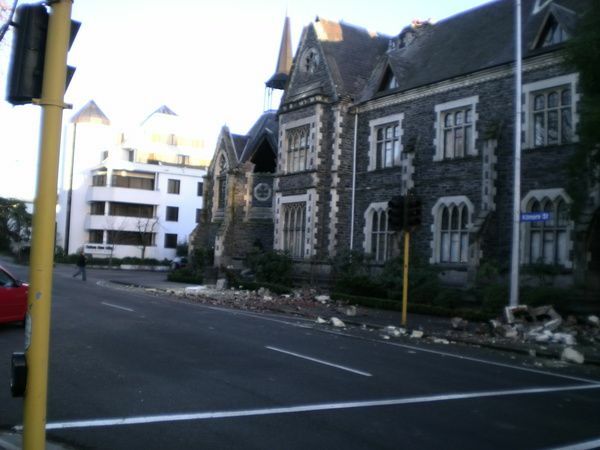 GNS Science said earlier the quake was measured at 6.6 magnitude. 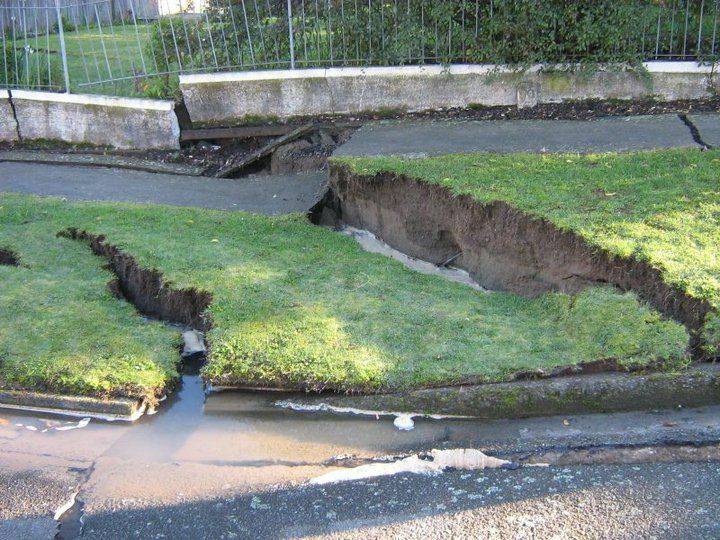 The earthquake, which was recorded at about 9:22 p.m. (09:22 GMT), was felt across Southland and Otago region. 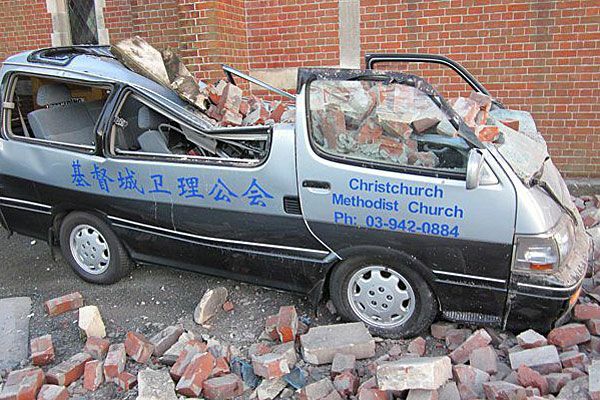 Local residents said the earthquake lasted several minutes. 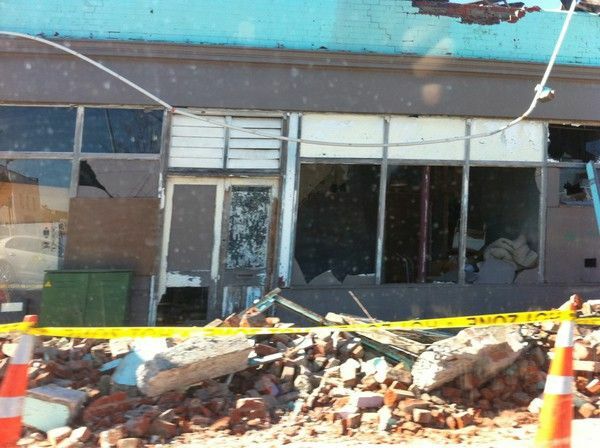 A 6.1 magnitude aftershock was also reported at 9:41 p.m. (09:41 GMT). The Hawaii-based Pacific Tsunami warning center has issued a non-expanding regional warning for a possible tsunami for part of the Pacific near the earthquake. 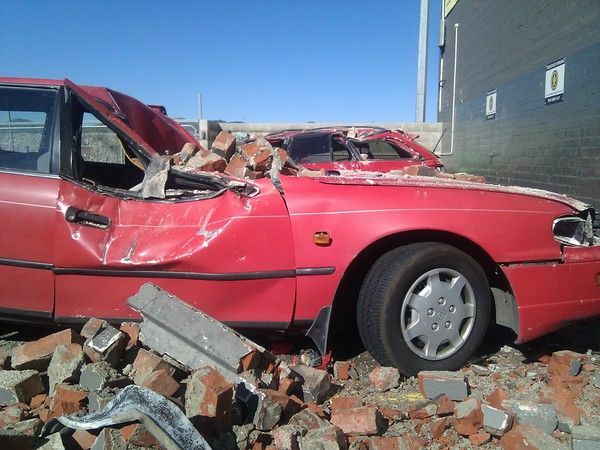 Local residents have been advised to keep listening to the radio. 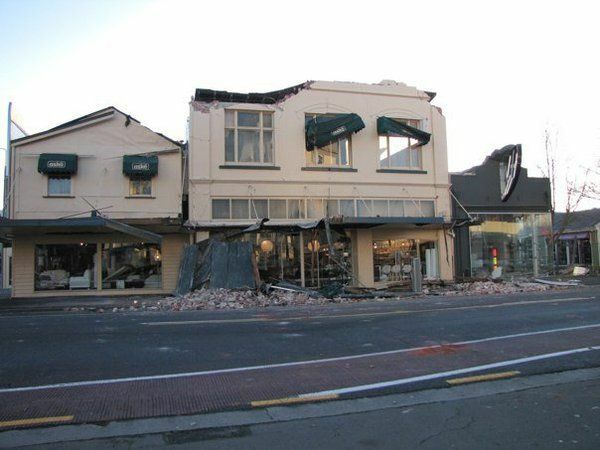 Vince Cholewa of the Emergency Management Center said GNS scientists were working with their U.S. counterparts to reconcile measurements of the quake and the tsunami risk, Radio New Zealand reported. 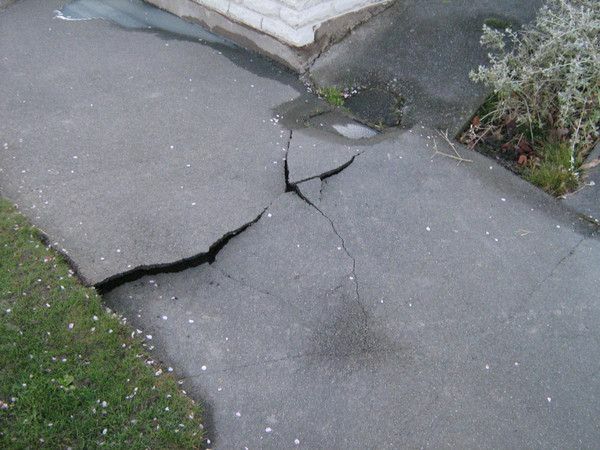 There were reports of cracks in buildings in the Tuatapere area, and power was out there for a short time. 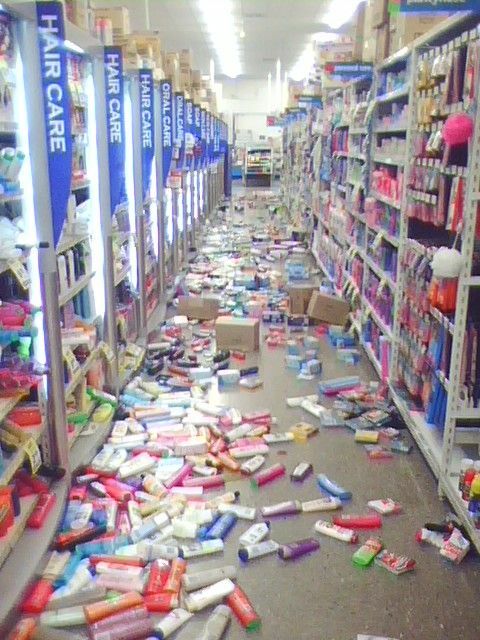 There were also reports of items falling off a supermarket shelf in Queenstown and walls in Invercargill. 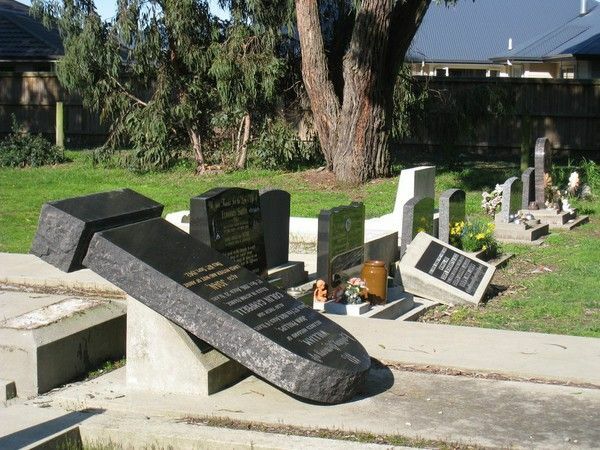 It was also felt in Dunedin. 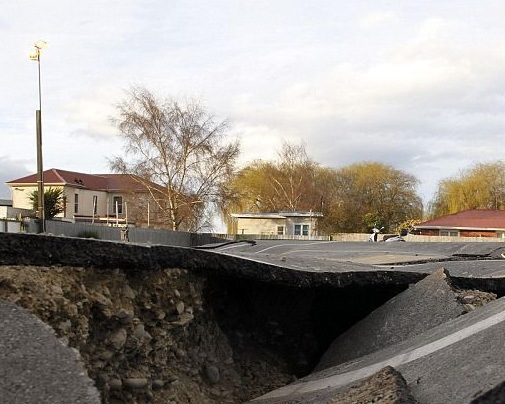 New Zealand Civil Defense in Southland has activated the region’s Emergency Operations Center. 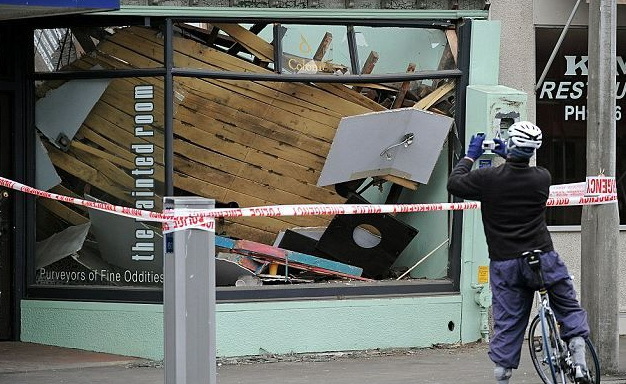 They have not received reports of casualties so far. 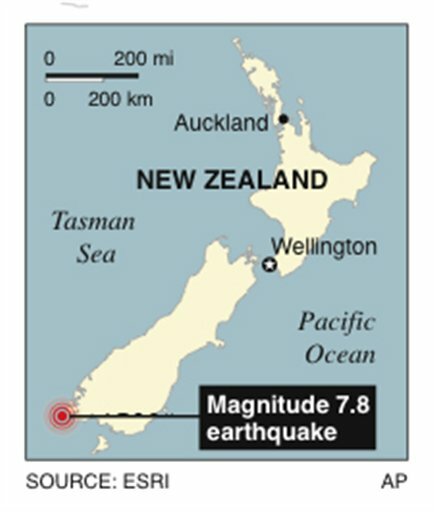 The GNS places the quake epicenter in deep water close to Dusky Sound in Fiordland, a considerable distance from any township. 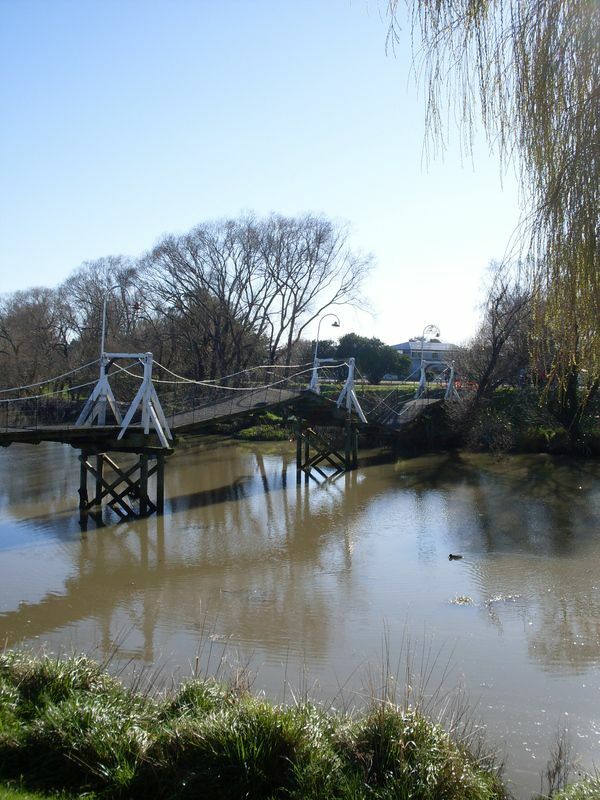 Police in the southern city of Invercargill said they have checked with residents in Tuatapere and so far there have been few damage reports. 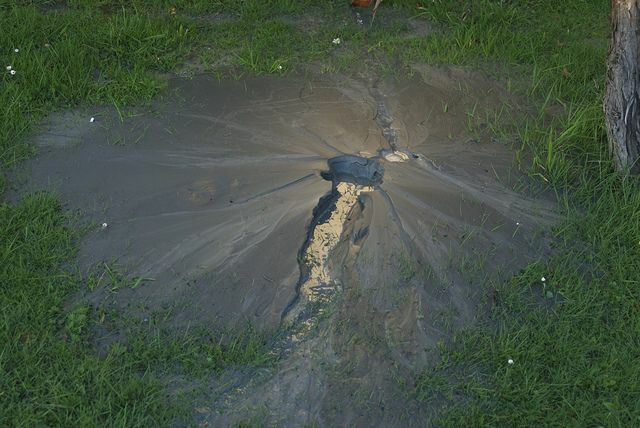 The full extent of the damage will not become apparent until daylight. 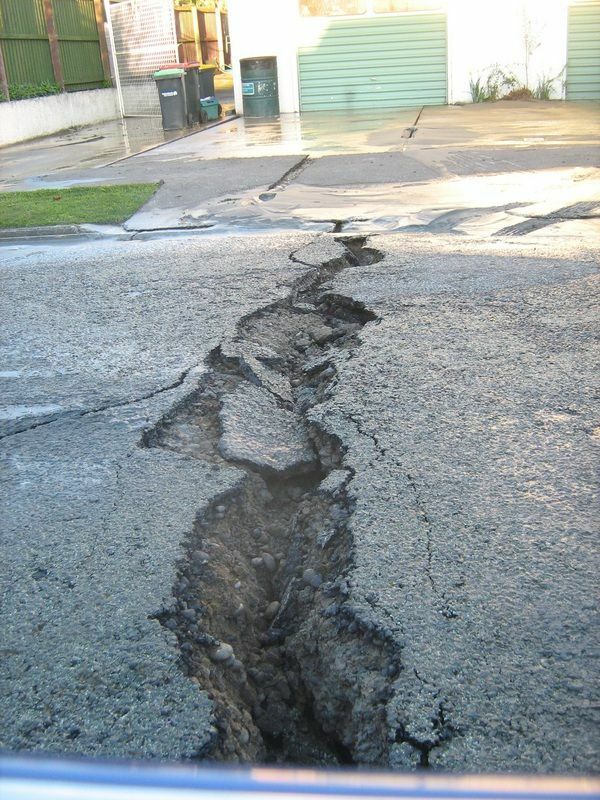 Power was still out in parts of Southland at 11:00 p.m. after the quake. 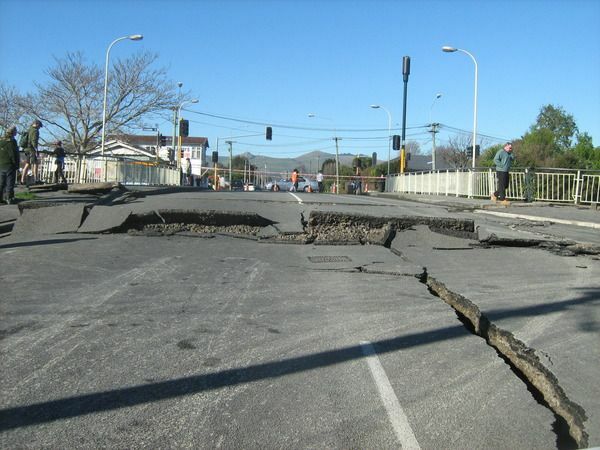 Ganesh Singh from Powernet said power lines were broken in the quake and supply has been cut to more than 150 homes at Otatara on the outskirts of Invercargill, according to Radio New Zealand. 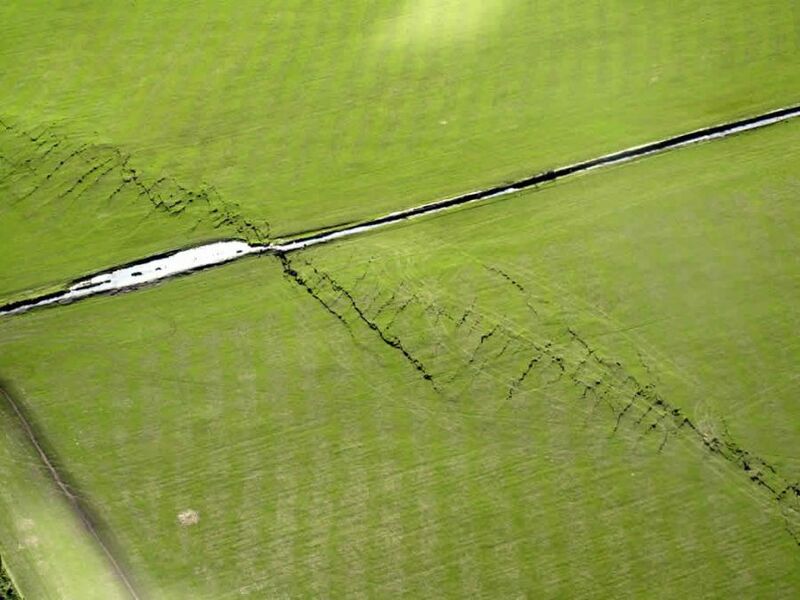 A powerful 7.1 magnitude earthquake damaged buildings, cut power and knocked fleeing residents off their feet on New Zealand’s South Island early Saturday, but there were so far no deaths and only two injuries reported. 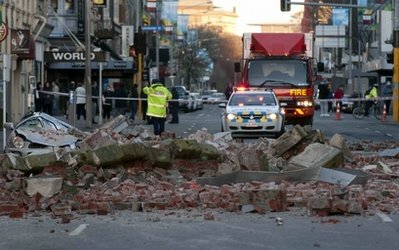 Panicked residents in their pajamas ran into the streets of the southern city of Christchurch after the pre-dawn quake, residents said. 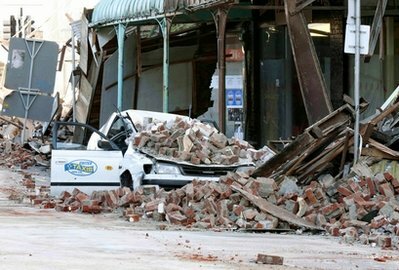 There were reports of some people trapped in damaged buildings — though none appeared to be crushed by rubble — and a few looters broke into some of the damaged shops in the city of 400,000, authorities said. 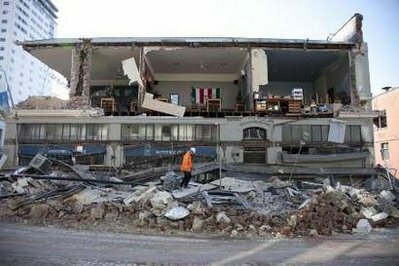 A state of emergency was declared and army troops were on standby to assist after the quake, which hit 19 miles (30 kilometers) west of Christchurch, according to the state geological agency GNS Science. No tsunami alert was issued. 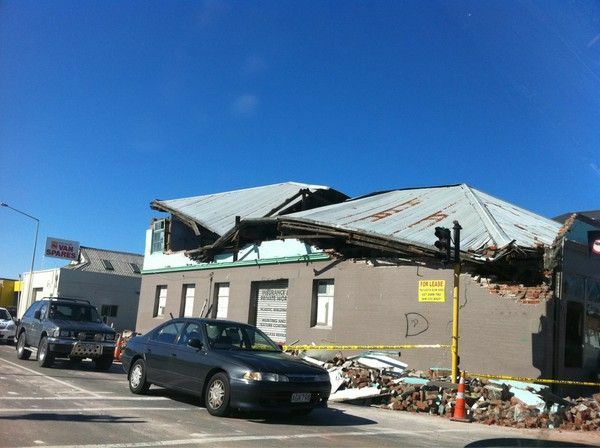 Roads had been blocked by rubble, power and traffic lights were out, and gas and water supplies disrupted, while chimneys and walls had fallen from older buildings, Christchurch Mayor Bob Parker said. 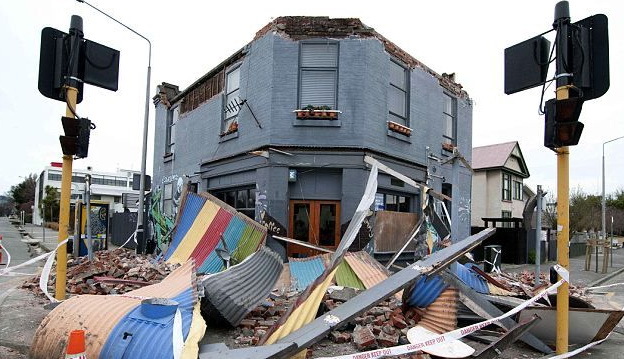 He warned that continuing aftershocks could cause masonry to fall from damaged buildings. 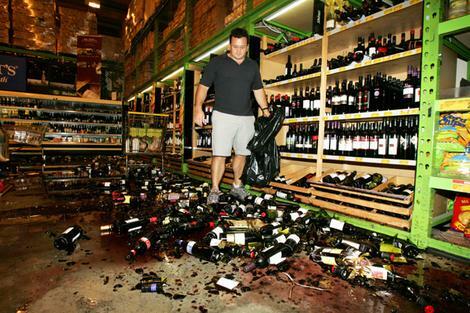 Suburban dweller Mark O’Connell said his house was full of smashed glass, food tossed from shelves, with sets of drawers, TVs and computers tipped over. “We were thrown from wall to wall as we tried to escape down the stairs to get to safety,” he told The Associated Press. 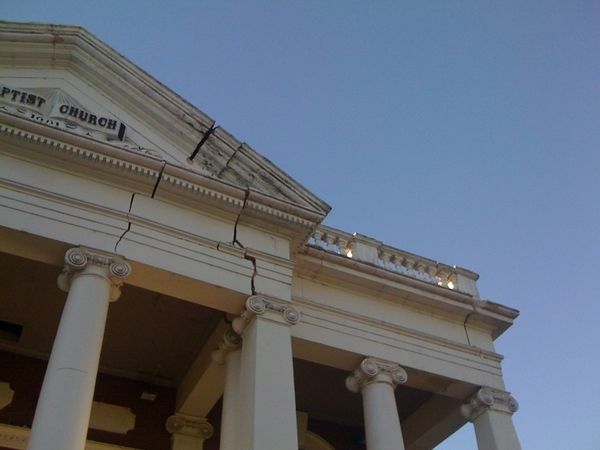 GNS Science initially reported the quake as magnitude 7.4, but later downgraded it after re-examining quake records. 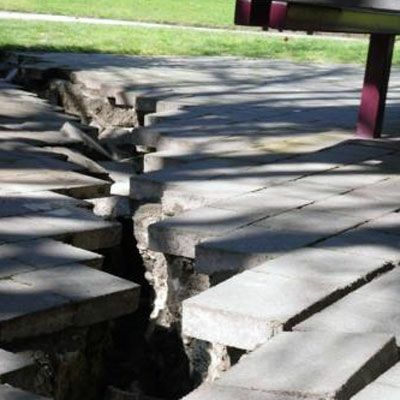 The U.S. Geological Survey, in America, measured the quake at 7.0. Minister of Civil Defense John Carter stressed the low number of casualties. Next Next post: Drunk persons and yoga.